By these definitions, free enterprise is not necessary to capitalism, nor vice versa. What’s necessary for capitalism is institutions that allow great concentrations of wealth, such as limited liability corporations, lending at compound interest and the power of banks to create money. Government-protected monopolies help, too. In the same way, capitalism is not necessary to free enterprise. The Phoenician traders in the ancient world, who traveled from the eastern Mediterranean to Britain to buy tin, were not capitalists in the way that J.P. Morgan or John D. Rockefeller were capitalists, but they certainly had the entrepreneurial spirit. Adam Smith, the great economist and philosopher, did not particularly admire capitalists. He saw economic competition as a means to hold their power in check. As for myself, I am not an opponent of either free enterprise nor capitalism, although I am a critic of both, especially the latter. I think the working of the free market is a more effective way to coordinate economic activity than central planning, provided that it is, as Smith said, “subject to the law of justice” — unlike Milton Friedman and others, who thought a free market could be a substitute for the law of justice. Likewise, I see a benefit to being able to create concentrations of wealth and use them to create new sources of wealth for the benefit of society. American capitalists made it possible to create a U.S. steel industry, a computer industry and all the other industries. Maybe this could have been done in some other way, but this is the way it happened. 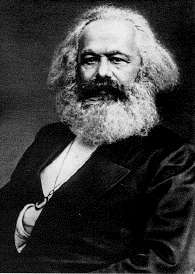 The problem is how to prevent mere possession of wealth from enabling its owners to monopolize the fruits of the economic system, which is what is happening now and which Marx thought was the inevitable result of capitalist ownership. A critique of the ideas of Friedrich A. Hayek, the 20th century’s greatest exponent of unrestricted free markets. An argument that competitive markets can only exist within a framework of law and regulation. This entry was posted on April 12, 2014 at 7:00 am and is filed under Capitalism, Economy. You can follow any responses to this entry through the RSS 2.0 feed. You can skip to the end and leave a response. Pinging is currently not allowed. Competitive markets are unnatural, and I am also a critic of Capitalism. Did you know that Microsoft “centrally plans” all of their products? I met a man in high school whose grandpa was paid by the government *not* to grow peanuts. One might say this qualifies as planning the supply of peanuts. I’m sure this is not the only example. Free enterprise, in the sense you define it, is socialism. No it is not ‘socialism’, it is called enlightened self-interest, which, unlike Capitalism, doesn’t require government.